I still remember my first kiss. I was thirteen and his name was Rob. He rode the bus and I was a walker. But the bus stopped at the high school, which was between our school and home. So, every day, I walked as fast as possible to get there before the bus left, just to spend approximately two more minutes talking to him by the side of the bus. But he was cute, so it was worth it. Then one spring day, he unexpectedly leaned in for a kiss. I was SO not ready for that and I’m not even sure I puckered in time. And he got his speed and timing wrong and just about broke my nose in the process. As first kisses go, it was hardly magical. But here I am, years later, and I still remember the butterflies that danced in my stomach because a cute boy wanted to kiss me. There’s a last kiss that I remember, too, although I had no idea that it was a last kiss at the time. He kissed me goodbye as I was leaving for deployment. Little did I know how much would change, that I would never kiss him again. By the end of my deployment, he’d cheated and I’d filed for divorce. No more kisses for him! And what about the worst kisses? They may be terrible, but they are still memorable. And sometimes they turn out to not be so horrible at all. I had one like that, one that was gross and hilarious at the same time. It was hardly in my Top Ten of Great Kisses, but it’s still memorable. I was 19 and Mike was another soldier. We’d been going out for a few months and I was over the moon for him. He was funny and artistic and smart as hell. One afternoon, he was in my barracks room getting ready to go back to his room. He went in for a the kiss and I, with my usual impeccable timing, made some snarky crack I can no longer remember. Mike snort-laughed just as his lips brushed mine. I felt something wet on my face. It turned out to be the biggest, greenest semi-coagulated booger I’ve ever had the misfortune to see. And I did see it because, not thinking about it, I wiped my cheek and looked down to discover it clinging for it’s very survival on the tip of my middle finger. It was disgusting and I really wanted to hurl. But one look at Mike’s humiliated face told me that my upset stomach didn’t matter. His dignity did. So, I turned it into a joke. Yes, I know. Making fun of him sounds counterproductive to the whole “preserve his dignity” thing, but that’s how we rolled. Inappropriate and ill-timed humor. I bet he still remembers it, too! What about you? Do you remember your first kiss? Your worst kiss? 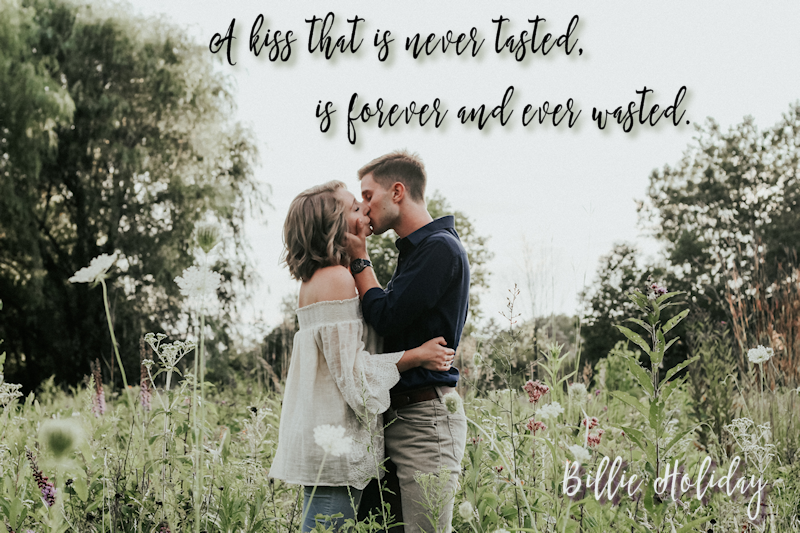 What about your best kiss? Kim, you are Amazing. I love this story it’s both funny and sweet. You are my Hero!